Go Explore; Go St Andrews! Above: Walking on West Sands. The destinations listed here are all possible to visit from St Andrews in a day, but if you have more time to spare they can easily be turned into a wee holiday. If you have any other day trips to recommend, feedback to give or stories to tell please do let us know. Walk / bike / bus to Craigtoun Country Park, only 2 miles from St Andrews, for a picnic, the playpark, some rowing on the lake, crazy golf, bouncing on trampolines, or just to lose yourself in the beauty of the landscape. Note that many of the attractions are closed in winter. Take a walk (or sunbathe if you are very lucky!) on one of the three gorgeous beaches. It is very easy to forget their existence when you get caught up in student life! 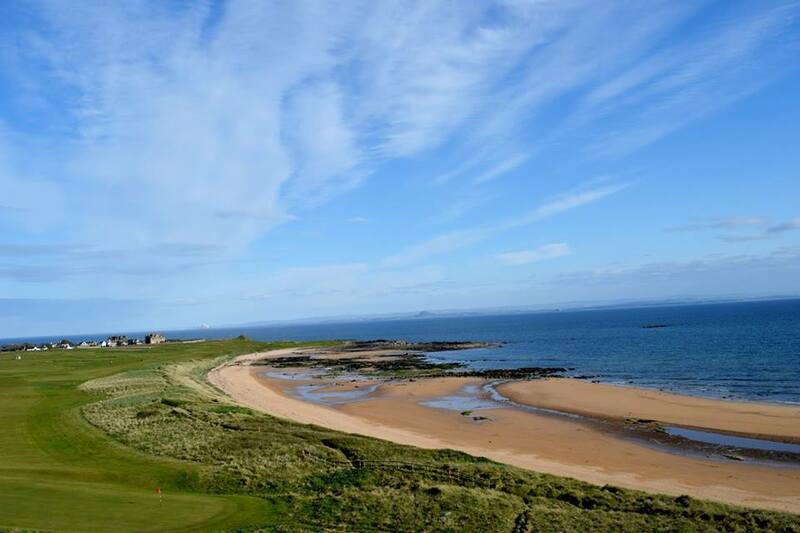 And, of course, don’t forget the amazing array of golfing opportunities – we’re not the ‘home of golf’ for nothing! Travel around St Andrews can on the whole be easily done on foot, although if you have a bike that can save time. Stagecoach also offer a St Andrews Dayrider for unlimited bus travel within the town boundaries. 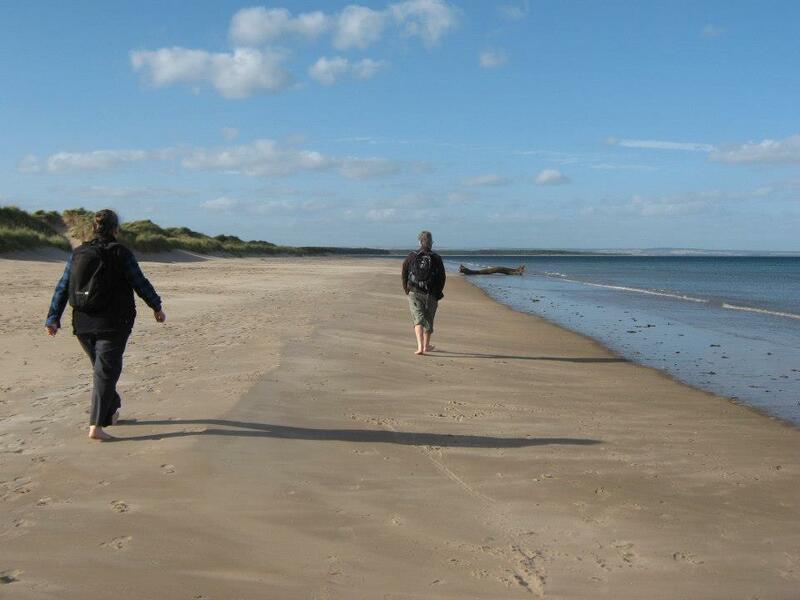 Walk, cycle or take a bus to Leuchars and visit Tentsmuir Forest (and Morton Lochs and Kinshaldy Beach), and enjoy the scenery, fresh air, cycle paths in the woods, and occasional horse-riding opportunities on the beach. A lovely trip for a beautiful day. A walk around the Fife Coastal Path from St Andrews towards Crail, or any other section on the route. The gorgeous fishing villages of the East Neuk – Anstruther, Crail, St Monans and Pittenweem (with its fantastic Cocoa Tree Cafe) – should be all seen and appreciated, but you can easily travel between them by bus (the 95 bus goes all around the coastal villages and you can get unlimited travel for £8.30 with a Fife Dayrider) if you don’t feel particularly energetic. Visiting the unique medieval of Falkland, well known for its gorgeous Royal Palace -but there is more to Falkland than that. The Centre for Stewardship, with its A-listed House and over 1500 acres of farm, forest and other land, is a fascinating place where people are learning to live and work more sustainably. Home to both Zero Waste Scotland and One Planet Food, the Centre hosts a range of events and courses at the Stables Workshop and around the estate. Remember unlimited travel around Fife by Stagecoach buses is only £8.30 for a full day, so make the most of it! A train from Leuchars (bus to Leuchars is £5.00 return) can also take you to any station on the Fife Circle line, although you might have to change once to reach your destination. Trains are likely to be more expensive that buses to explore Fife. 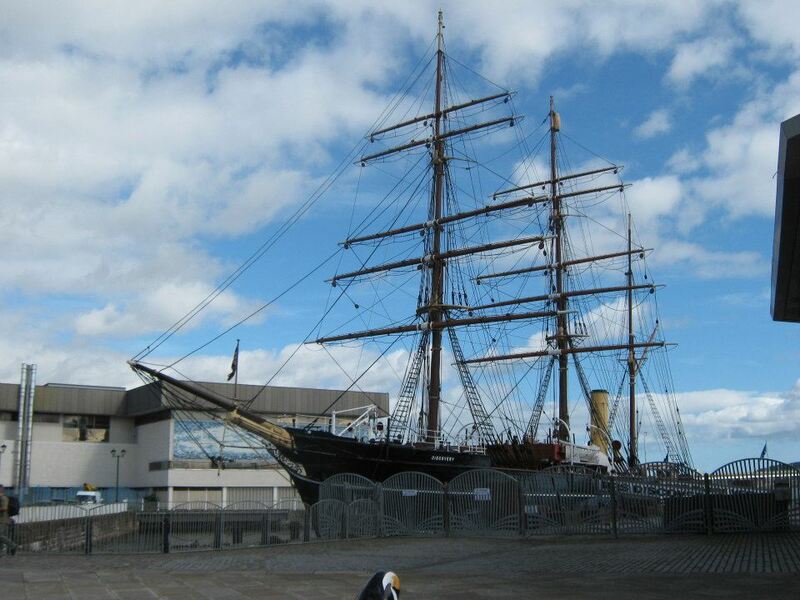 A trip to Discovery Point to explore the RRS Discovery, a ship built for Antarctic exploration, is always well worth the time, with events and heritage talks on at the centre throughout the year if you would like to know more about the city’s history. Exploring Verdant Works, a restored jute mill, allows insight into the tale of jute and its connection to the life and work of old Dundee. The Olympia Leisure Pool is a lot of fun, with its water slides, waves, whirpool and areas for proper swimming. The City Harbour Chinese Restaurant at the City Key, not far from the bus station, is a good value family-owned buffet, particularly if you go at lunch time. Dundee Contemporary Arts, with its exhibitions, films, courses, workshops, talks, festivals and other events, is well worth keeping an eye on over the year, or stopping by if you are in the city to see what is going on. The University of Dundee’s Botanic Gardens are a beautiful day out, with events on in the Gardens throughout the year. The website even has a virtual tour for if the weather is bad. Dundee has a number of theatres offering a range of performances. The Theatres Online website provides handy links to all the different theatres and their programmes. Camperdown Country Park is the biggest public park in Dundee, with open areas, a wildlife centre, and children’s entertainment including boating and climbing frames. The adjacent Templeton Woods are great to wander around, and the nearby leisure park, with its ice rink and cinema provides activities for if the weather turns nasty. If indoor climbing is your thing, Avertical World is the place to go. With both courses and free climbing on offer, plus a cafe to relax in after (or to hide in while your friends prove themselves! ), you could spend at least a good couple of hours here. Football is widely-recognised to be our national game, and Dundee Football Club and Dundee United Football Club are our closest teams. If you’ve never seen a game you should make the time to go! Bus is the easiest way to get to Dundee, with regular buses in both directions for around £8.00 return. It is also possible to get a bus to Leuchars (£5.00 return) then a train to Dundee if you feel so inclined. 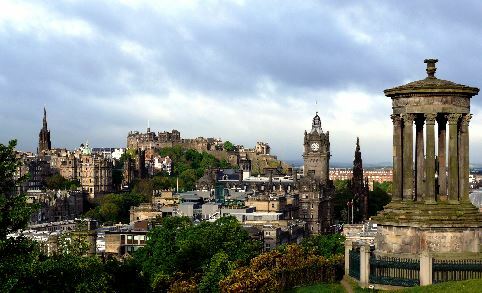 Edinburgh also has its local page of Visit Scotland, and as Scotland’s Capital City always has a lot going on culturally, politically, scientifically and socially. STV have a detailed Events Calendar of things going on in the Capital, as does the Edinburgh Guide. Photo of Edinburgh sourced from here. Edinburgh Castle is the major tourist destination, but it is pretty expensive, so if you go make sure to make your visit count! Visit the Camera Obscura and World of Illusions for some interesting photos to add to your Facebook. A trip to the German Market, Outdoor Ice Rink and Fairground Rides on Princes Street at Christmas time – always worth at least one visit a year, with the dark nights perfect for creating that cosy winter feeling while allowing you to still get back to St Andrews on or before the last bus / train. Take a trip over to Edinburgh in the summer, when the festival season (International, Book, Fringe, Film, Science, Mela, Art, Storytelling, Jazz & Blues, and more) brings an amazing array of performances of all types (and standards!). Also look out for the Edinburgh Military Tattoo if you are up for seeing some mass-bagpiping and lots of tartan and uniforms. Dynamic Earth takes you on a journey through our planet’s past, present and future, with interactive exhibits and impressive technology. They also have interesting and exciting events going on a 4D experience if you need any more incentive to go. The Scottish Parliament building, which caused a scandal here for going massively over budget, is worth a visit to see the weird and wonderful architecture and get a free guided tour. The Scottish Rugby Team are based in Murrayfield, near the Haymarket Train Station. You should see at least one rugby match, and here would be a good place to do so! Edinburgh is good for Vegetarian and Vegan Restaurants, with Henderson’s being one of the most well-known. The street party for Hogmanay in Edinburgh is world-famous – no one does New Year like the Scots! The fastest bus to Edinburgh from St Andrews is the X59. The X58 and X60 route goes around the coastal route so takes much longer and is very windy – but if you are not prone to travel sickness and want to see more of Fife this is an excellent option! A return costs around £14 for a full priced ticket with the return part valid for up to four weeks, but if you travel both directions on one day ask for a Fife Dayrider Plus, which is only £10.30. You can also use your student card to get a discount on the return fare if travelling to Edinburgh, so if you are going to and from in the same day ask the driver which fare is cheaper! A train from Leuchars to Edinburgh takes only slightly less time once you add on the trip to Leuchars by bus (£5.00 return) and hanging around the station, and is slightly more expensive in total, but is also a good option – particularly if you have a Railcard. Photo of Glasgow sourced from here. Football! The Old Firm teams (Rangers and Celtic) are widely known for topping the Scottish Leagues, and for their rivalry. Any game they are playing is worth attending! The Scottish Football Museum is also a good visit for those into ‘the beautiful game’. The Glasgow Science Centre is Scotland’s leading science attraction, with a Science Mall, IMAX, the Glasgow Tower ride and Scotland’s Best Planetarium. Whatever you level of scientific knowledge and interest, there is plenty there to see. Glasgow is home to both of Scotland’s IMAX cinemas, one at the Science Centre and the other at Braehead, where you can enjoy the ultimate movie experience. 3D and action-packed movies at the IMAX are particularly impressive. Shopping in the Buchanan Galleries, Buchanan Street, Sauchiehall Street, the St Enoch Centre and many other centres and areas is some of the best in Scotland, and most all on one easy-to-walk route. A shopaholic’s dream! Architect, designer and artist Charles Rennie Mackintosh was born in Glasgow, and much of his work is visible in the city. The Glasgow School of Art, Mackintosh Church at Queen’s Cross and Scotland Street School, are three of the most famous, and are explored in more detail here, but there are many more things to see if you like his work. Kelvingrove Art Gallery and Museum is Scotland’s most popular free attraction, with 22 themed, state-of-the-art galleries and an incredible 8000 objects, including a Spitfire. The architecture of the building itself is also gorgeous, so don’t forget to look up! The West End, where the Kelvingrove is situated, is a bohemian area full of coffee shops, bars, boutiques, clubs and restaurants, and definitely worth a wander around. The gothic Glasgow Cathedral, in Cathedral Square near the Royal Infirmary, is today a gathering of the Church of Scotland and the only medieval cathedral on the Scottish mainland to survive the reformation undamaged. King Tut’s Wah Wah Hut, commonly known as King Tut’s, is a live music venue and bar famous for its intimate atmosphere and high quality acts. Now also hosting comedy nights, it comes highly recommended by students and locals alike. 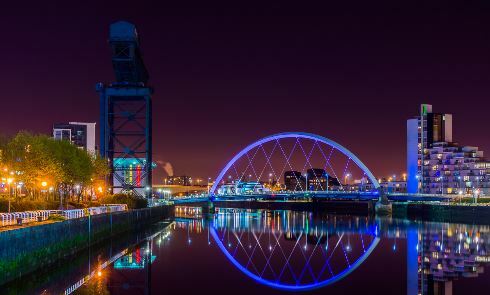 A former European City of Culture, Glasgow is host to most of Scotland’s national arts organisations, including Scottish Opera, Scottish Ballet, National Theatre of Scotland, Scottish Youth Theatre, Royal Scottish National Orchestra and the BBC Scottish Symphony Orchestra. All of them host fabulous events throughout the year – check out their sites individually or What’s On to get an idea of all the events in the city on a particular date. The Scottish Exhibition and Conference Centre (SECC), hosts a range of events from huge concerts to wedding shows, and everything in between. One of the highlights is the Irn Bru Carnival over Christmas time – Europe’s largest indoor funfair. While in Glasgow, or at least in Scotland, you should try some unhealthy chip shop options. Battered deep fried Mars Bar anyone? The quickest way to get to Glasgow is the X24 bus which goes directly there, with the X26 taking slightly longer. A return is around £14, and the return can be used up to four weeks after the outward trip. Ask for a student discount if appropriate. If you are travelling there and back in a day you might be cheaper with a Fife Dayrider Plus, which is £10.30. Alternatively, you can get the train from Leuchars, but you will have to change at least once, most probably in Edinburgh, and also pay the additional bus fare to Leuchars (£5.00 return). Unless you book very early the train will undoubtedly be the more expensive option. Photo of Perth sourced from here. 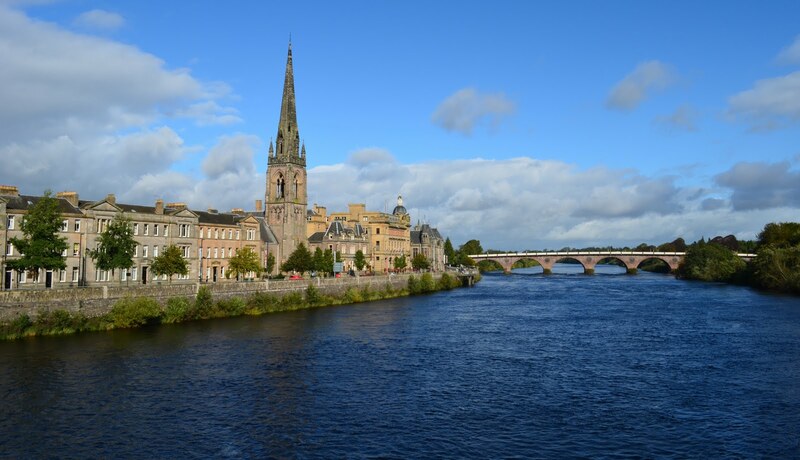 The gorgeous Georgian market town of Perth is a nice place to visit, where you will find a range of activities. Located in a beautiful area of countryside, the journey to Perth is particularly pretty in Autumn when the hillsides are ablaze with colour. To get there by public transport you generally need to get to Dundee (by bus) then take either the train or one of a number of buses onwards to Perth, but there are a number of other options. For more details for the best route at the time you want to travel check out the journey planner on Traveline Scotland. 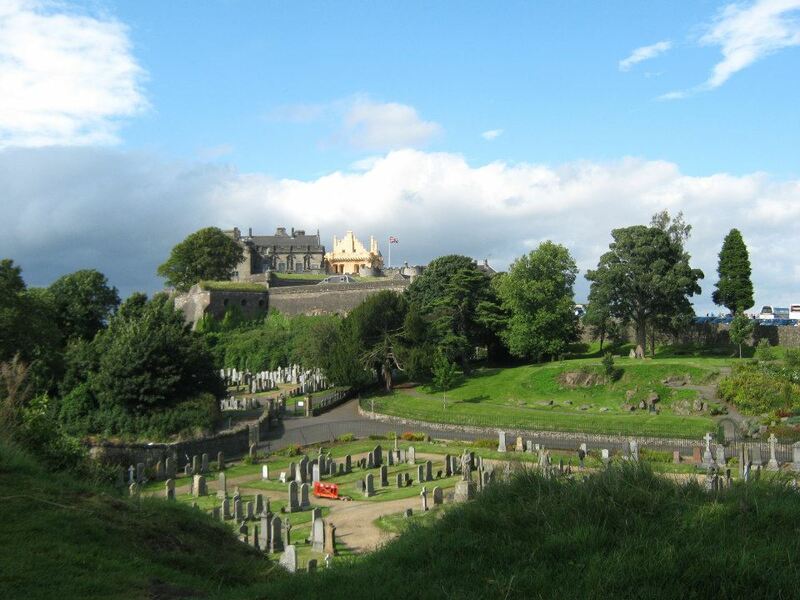 Stirling is Scotland’s newest city, combining the history of the Castle and Wallace Monument and beauty of the landscape with a range of shopping opportunities. 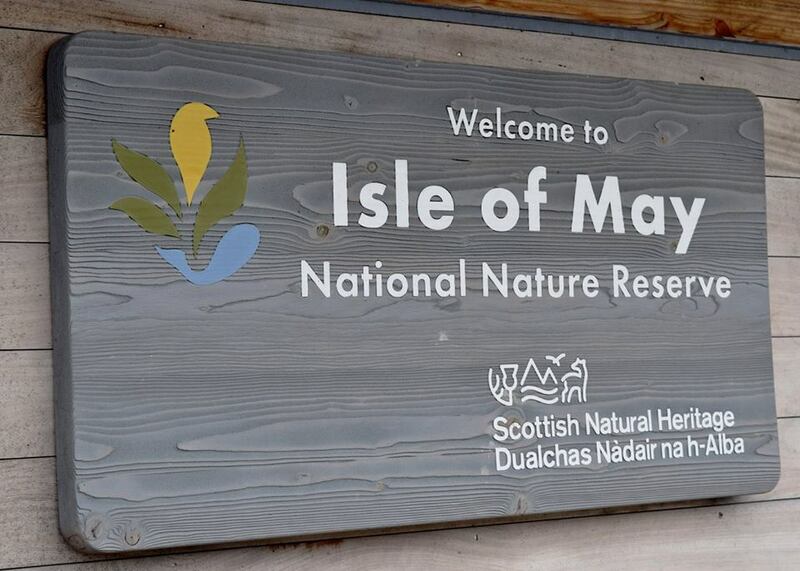 The website has a large range of information for visitors, so take a look. Bus number 23 goes directly to the city, or you can travel to Dundee by either bus or a train from Leuchars and take a train to Stirling from there – check Traveline Scotland for train times. Bus tickets cost around £14 for a Period Return (up to 4 weeks) or £10.30 for a Fife Dayrider Plus if you travel all on one day. Arbroath, famous for its smokies (line-caught haddock, smoke-cured over smouldering oak chips) and north-east of Dundee, is the cute harbour town where the Declaration of Arbroath, Scotland’s formal declaration of independence from England, was prepared in 1320. To get to Arbroath you need to take a bus to either Leuchars or Dundee and then a train from there, but the whole journey is less than an hour. Again, check out the journey planner on Traveline Scotland. 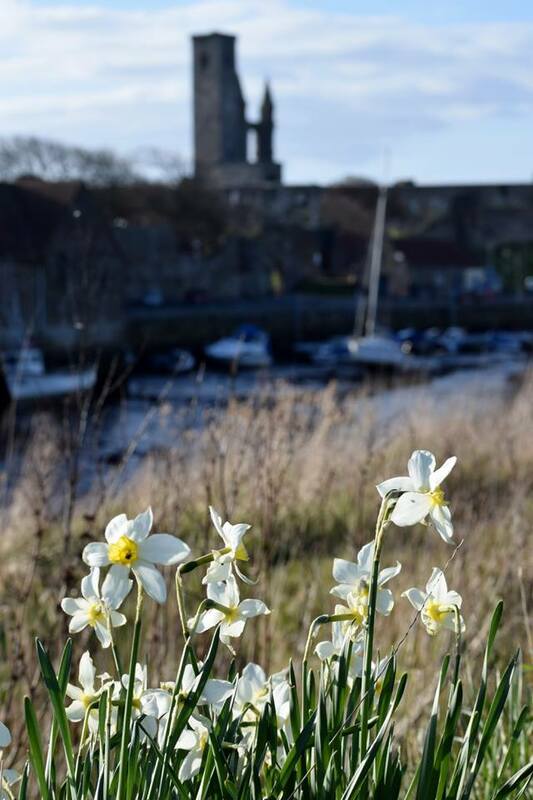 If you have any more suggestions for our website of Day Trips from St Andrews please let us know!